For street 35 psi to 40 psi, depends on tire. For dirt 20 to 25 psi with mag wheels. I think they use kpa. IMO, there is no such thing as "correct" or "wrong" tire pressure. There is "good enough" or "who cares?" tire pressures at the "good enough" level, the rest is independent of tire pressure. if you abuse the traction by poor braking habits for one, but generally indulge in poor riding style. It's more important to check them regularly. At the risk of starting another debate, I have been using the indicator valve caps on all my vehicles now for 8 years - and I'm still using the ones I bought 8 years ago. Contrary to the alarming advice I got at the time - they have never leaked, they don't affect the wheel balance, they don't catch the kerb and no-one has ever nicked them. They have however often prevented me setting off with an almost flat tyre - which is surprisingly easy to do on a bike compared to a car. It's the easiest thing in the world to check front and back before a ride. If you decide they are worth trying, buy a pair that are set ak lower than the pressure you want. So for the rear I thing I have 38's on. That's because they have a tolerance before they turn yellow or red, and I think on a bike the tolerance is a bit too much. Just remember when guys are recommending 20-25 PSI if you were to run that low pressure on fully loaded bike at high speed in hot weather ............it might wipe the tire out in 100's of miles and end with a total failure. This happens on heavy touring bikes quite often. Comments like checked the tire it was "good" ......400 miles later it was gone ! I run 32 - 36 PSI front/rear cold. Shinko Verge II. The recommended pressure makes the ride a little too harsh for me. 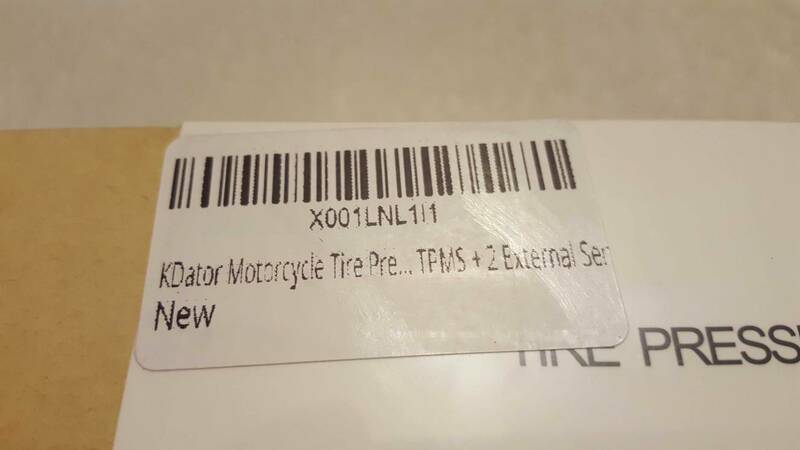 My 09 Versys recommended pressure is 32-36 PSI. The Versys and NC weigh about the same and have the same size tires. 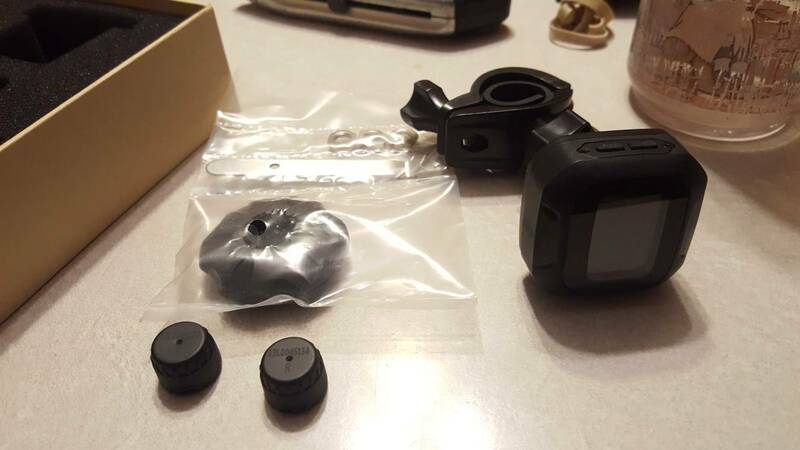 I paid full price for a FOBO system. Then snagged a little used pair for 1/2 price only $100 shipped to me. Those went on the daughters MC 's. Then I did an eBay search and found these for $33. I bought two for my bikes and it was cheap enough I thought I would gamble. I found out that I wanted a monitor I could see while going down the road. Had one built into my 2012 wing and it saved me in Wyoming where help is always a ways away. So you don't have to spend bucks these days. 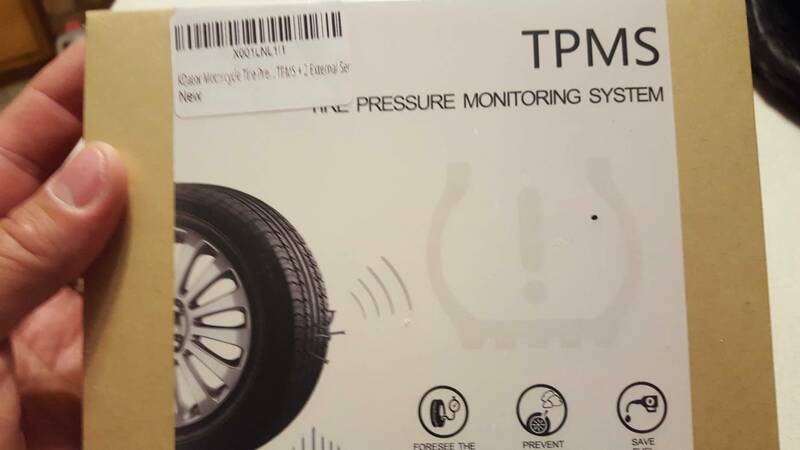 Inspired by 1wiseguy2's post, I bought a TPMS too... and turned out to be the same one. I mounted it down on my engine bars to minimize theft/damage. It is good for a quick check before a ride. It has exactly the same measurement as my gauge. It turns off after a couple minutes and boots immediately with a button press. Good for a quick check before riding. I plugged a nail in my tire a while ago so I worry about pressure a little sometimes. 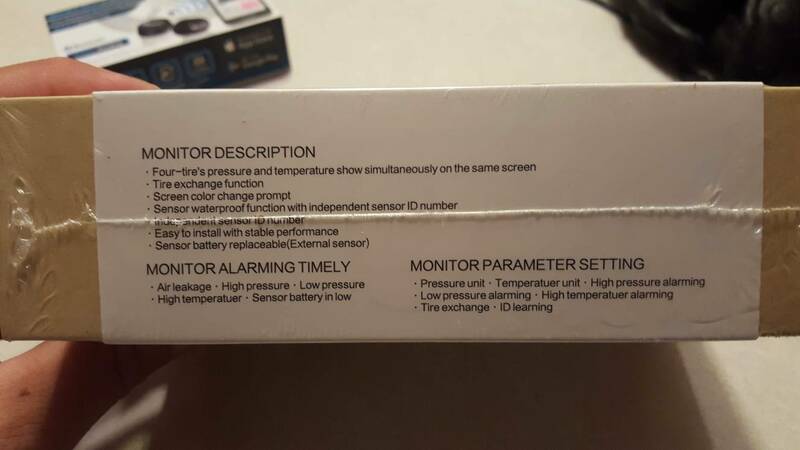 It also alarms (flashes red and beeps) if over or under a set amount. 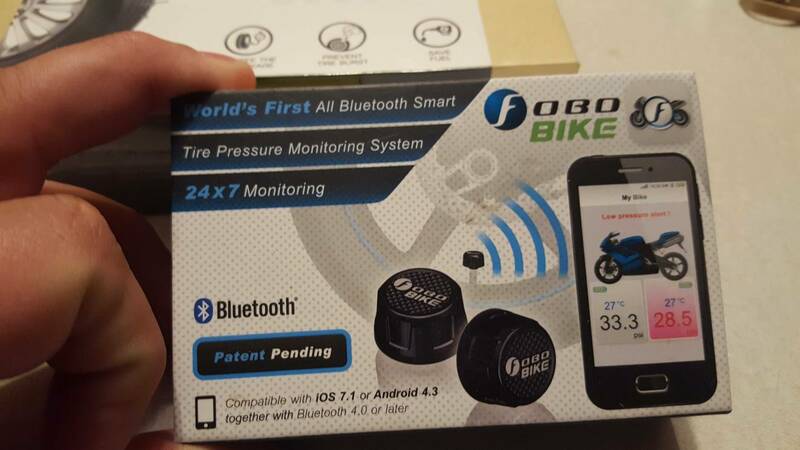 Great little gadget. I got mine from Amazon and paid about $20 more than chinese import sites - which gives me immediate shipping and return/warranty.